I have never been to China before- had a tease last year when a similar event was planned and I was invited, but then was cancelled last minute. So this time, when I started getting a string of emails with official invitations from the Hunan Government I was hopeful it would actually happen this time. With things ‘like this,’ you never really know- my world is filled with lots of really great ideas, fantastical assurances about lifetime trips and reality tv series’ so you have to take everything with a grain of salt. 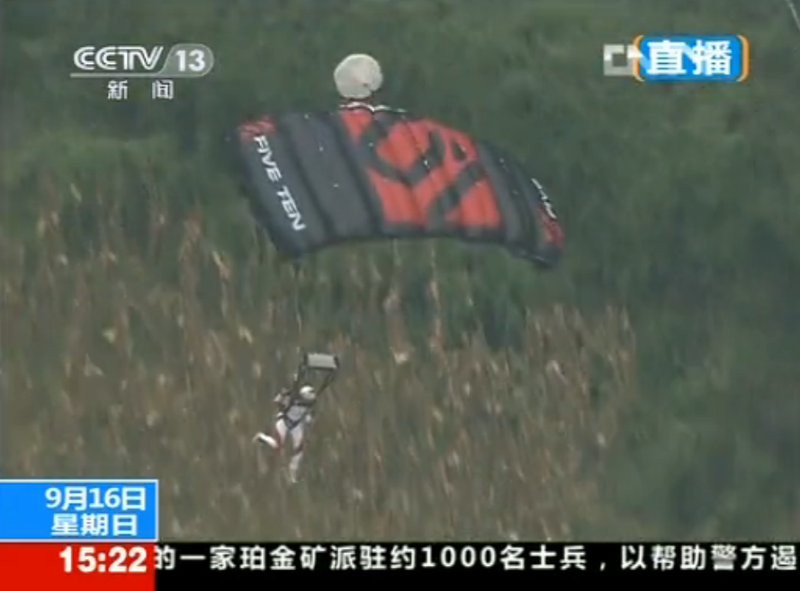 However, once in a while it actually does happen and the Chinese Government really does cordially invite you to come jump off a new 1200 foot bridge on live TV to be broadcast to millions throughout China. Next thing I know I am blurry-eyed staggering through the airport in Beijing until I spot a colorful looking crew studded with tattoos, funny looking backpacks, and cheeky grins. (not to stereotype or anything) Finally feeling at home when the next flight I’m surrounded by other BASE jumpers from around the world. 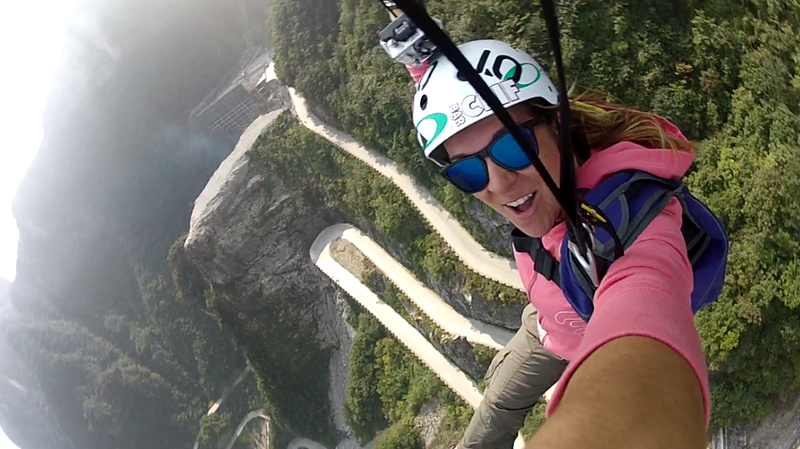 Some of them I know, some of them I don’t, but we are all family and we all know it- which is a big reason I love BASE jumping and the community that surrounds it. We were greeted and treated with the royal treatment and it was fantastic. 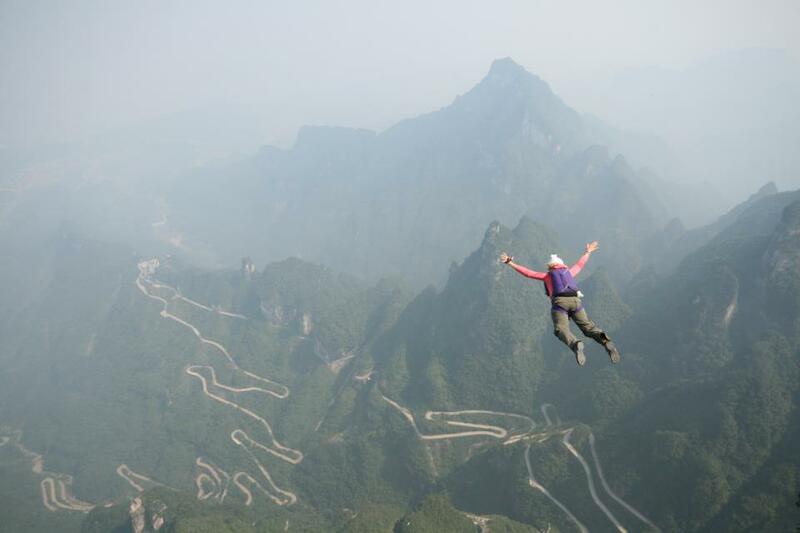 Everything from greeters with little signs that said “BASE JUMP!” waiting for us as we exit the plane (I’ve always wanted a little sign… ) to the little pile of personalized gifts waiting on our beds in our private five star hotel rooms. There was a phenomenal crew of young local university students that were appointed our personal translators, guides, camp counselors, what have you… and they were so great. 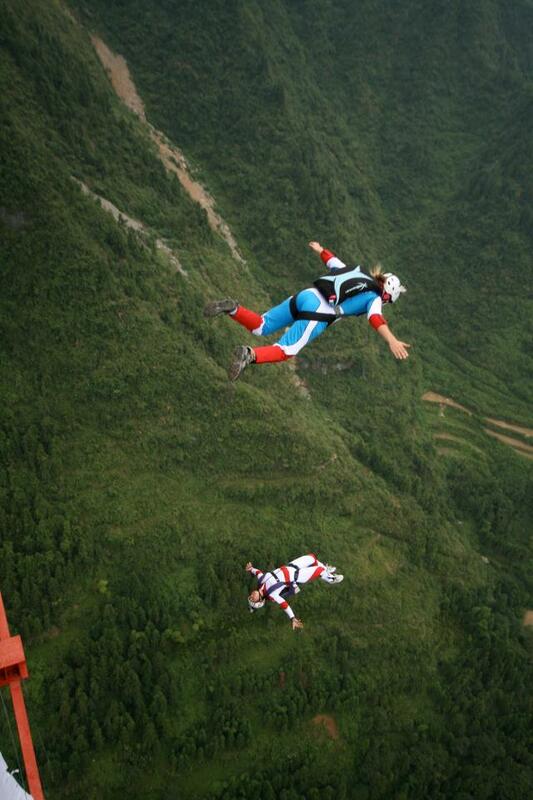 Especially considering trying to herd a group of non-conformist BASE jumping characters around is no small task. 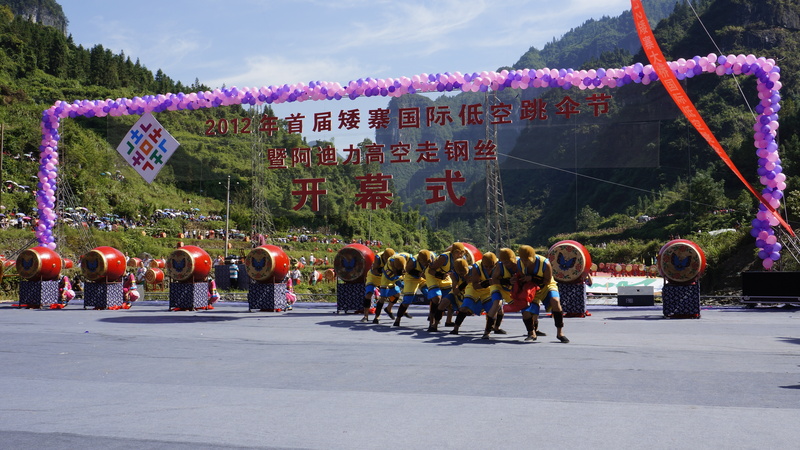 The bridge jumping demonstration was part of a huge celebration to promote tourism in the Hunan region. 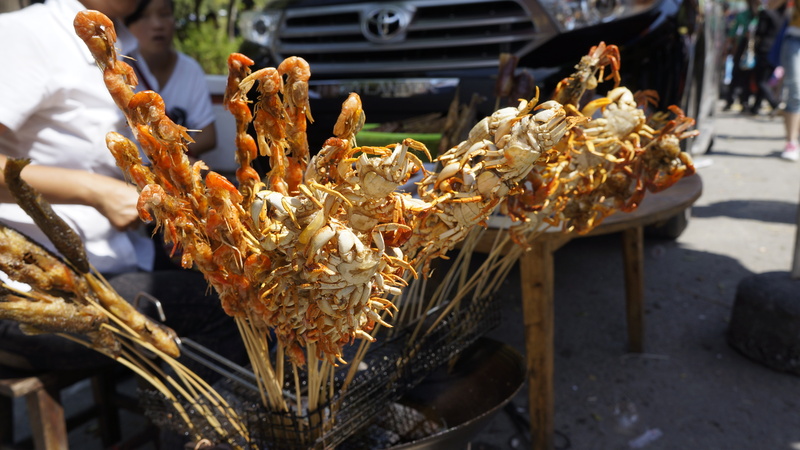 We were escorted through an ocean of people for the opening ceremonies stopping every 5 feet to take photos with excited spectators and to gawk at the assortment of fried insects and spicy skewered sea creatures. Thousands of traditional drums, dancers, singers, and even two wire walkers with the long poles walking a cable that had been strung up next to the bridge, unprotected, multiple thousand feet long and a thousand feet high. Now I think those guys are crazy. So we were supposed to do our practice jumps that afternoon. But back to the wire walking, the cable they strung up had probably 20+ support cables that were practically invisible that were going in all directions right under the bridge we were supposed to be jumping off of. One of the scariest/sketchiest things I’ve seen! Needless to say, we had to call off the practice jumping as none of us wanted to be decapitated. The event organizers promised they would get the cables dismantled and taken down by the next morning for the live TV broadcast. I’ll spare you the details and of course some healthy drama but eventually, the next day, they were taken down, and we were rigged with cameras, smoke bombs, flags, dressed in custom jumpsuits for each jumper and their countries’ colors, and jumped into easily the biggest crowd by far I have ever jumped in front of, and that was live, not even taking into consideration how many people were watching on TV. Talk about pressure! I’m just glad I stood up my landing. I actually was given a rad silver bracelet for popping a balloon in the center of the landing area. 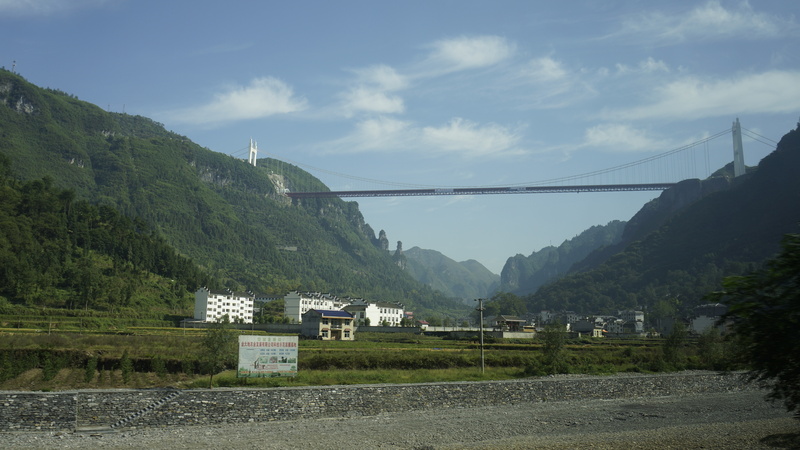 The rest of the stay in China was filled with seeing some of the most beautiful scenery I have ever seen. 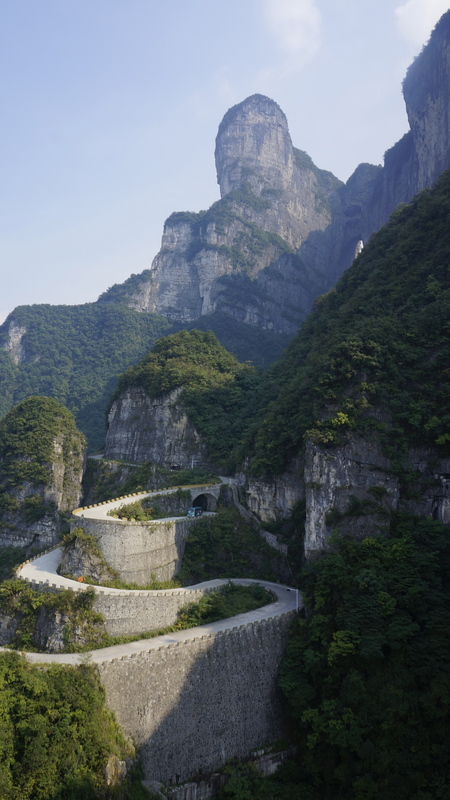 The mountains in the Hunan range are actually what they based the scenery of the movie Avatar from, called the floating mountains. 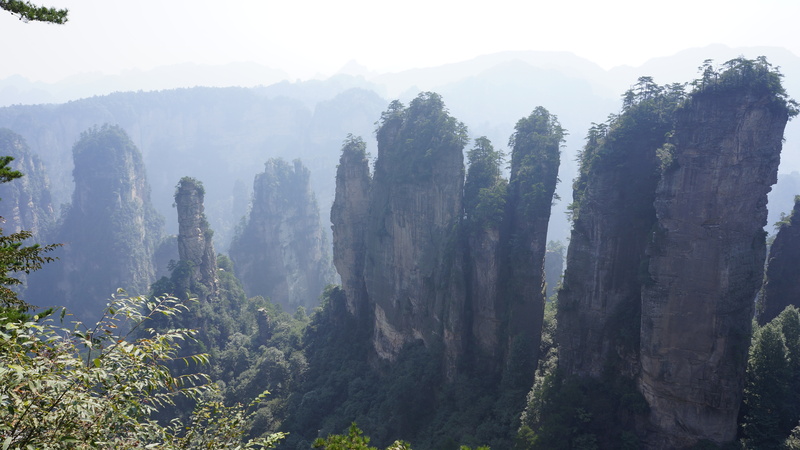 I opted to stay in Jhangjiajie for a few extra days to spend some more time in those mountains. What a cool city and I will definitely be back. 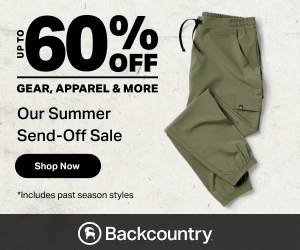 It’s really cool how the people, and especially how the government in the region has embraced BASE jumping, and action sports in general, and even used it to promote their region. 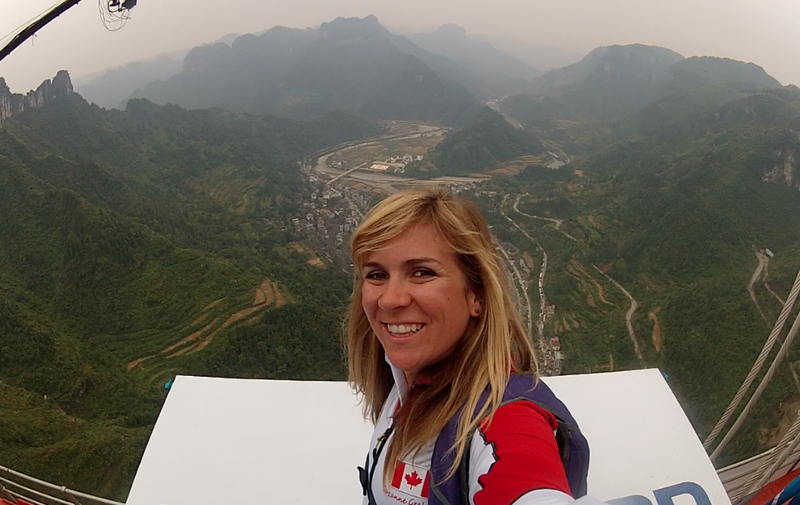 I couldn’t be more grateful for the opportunity to be a guest in the Hunan province and get to jump in such a beautiful area. I can’t wait to do it again. 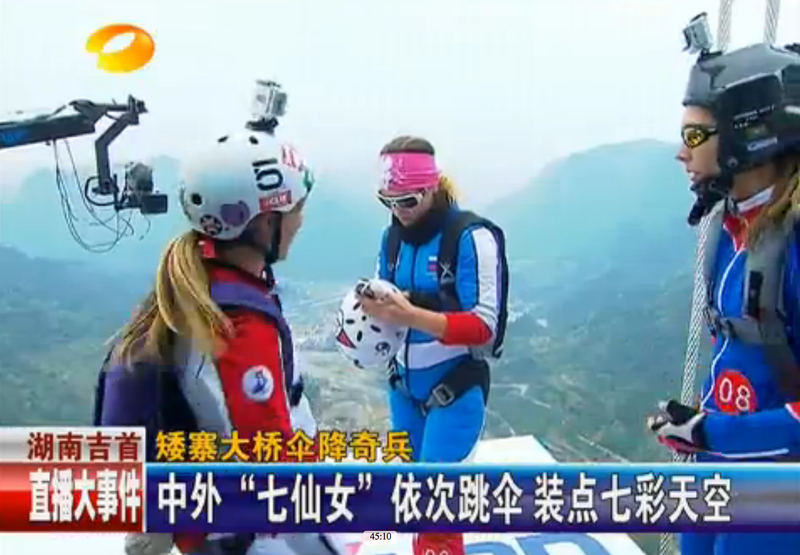 Next postChina BASE jumping video! Dude. Why do you keep leaving your stunt coordinator/ manager/ life coach/ whatever the hell I have to be to get to go on these amazing trips in Oregon?